She calls herself Madam Boss and one of her most admirable traits is her wealth. Considered the richest female musician in Kenya, Akothee doesn’t even depend on her music to make a quick buck. She is a businesswoman extraordinaire and in her latest engagement with netizens, Akothee has provided proof of her admirable business acumen. 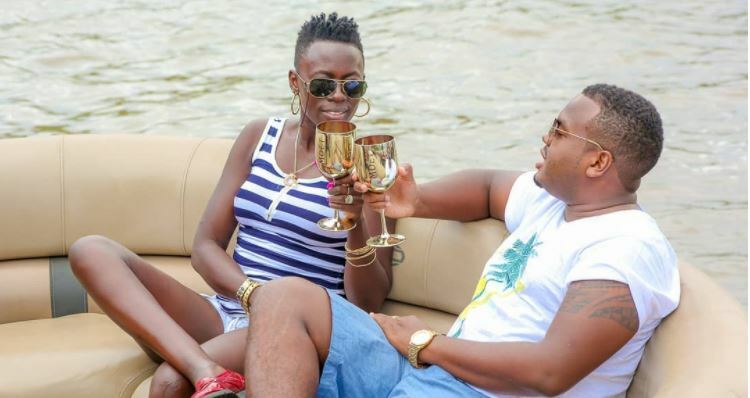 In a post on Instagram on Tuesday, Akothee disclosed how she invested about Sh10 Million in a tree-planting project that can now easily fetch her Sh80 Million. “This project took me 1 year. I bought land for 5 million, fenced it with 1.5 million, spent 2 million on cultivating, buying seedlings & planting! I have spent approximately 1 million on maintaining it,” wrote Akothee. If my math is right, that amounts to Sh9.5 Million. Five years later, the land has 40,000 trees. According to Akothee, if she sold each tree for just Sh2000, she would make a cool Sh80 Million. “it’s been 5 years now & am happy to walk through 40,000 trees. Even if I sell the 40,000 ×2000 I still have the land and 80M,” Akothee said. Akothee further noted that she made a sound decision to invest Sh10 Million on the project instead of spending it on a depreciating asset. Before that, Akothee had offered nuggets of wisdom to single mothers on how to be financially secure. She wondered why they were buying everything including water instead of saving a few coins to till land in order to be food sufficient. She gave an example of herself claiming that she had harvested 37 bags of maize that she was planning to sell at Sh4,000 each in Mombasa. “Am not talking to housewives them they are sorted because they are employed by their husbands !they will only wake up when hell breaks loose & contract canceled, I don’t say contracts are canceled by them kicking you out!No, but how about him losing his job or falling sick or nature calls? “Tell that man to give you capital you go cultivate land and push him that you both have a roof over your head in the village! You can’t pay rent worth 100k per month & tell me that you can’t afford to build a house worth 1m? Think,” wrote Akothee.